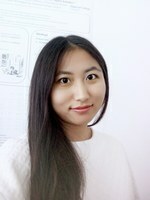 Zhao Ren received her master degree in Computer Science and Technology from the Northwestern Polytechnical University (NWPU) in the P.R. China, 2017. Currently, she is a EU-researcher and working on her Ph. D. degree at the ZD.B Chair of Embedded Intelligence for Health Care and Wellbeing, University of Augsburg, Germany, where she is involved with the H2020-MSCA-ITN-ETN project TAPAS, for health-related speech analysis based on emotion. Her research interests mainly lie in transfer learning, multi-task learning, and deep learning for the application in health care and wellbeing. Z. Ren, Q. Kong, J. Han, M. D. Plumbley, and B. W. Schuller, “Attention-based Atrous Convolutional Neural Networks: Visualisation and Understanding Perspectives of Acoustic Scenes,” accepted by. ICASSP, (Brighton, UK), 5 pages, 2019.